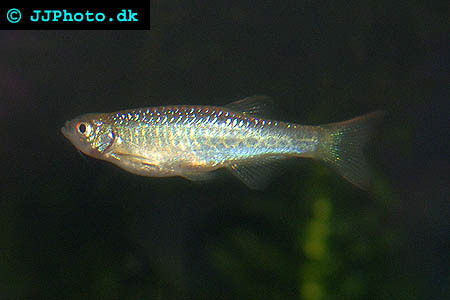 Synonym: Cyprinus devario; Perilampus ostreographus; Devario macclellandi, Danio devario. Origin: Afghanistan, Bangladesh, India, Nepal & Pakistan. Company: Devario devario (Bengal danio) can be kept in community aquarium with other active species. Aquarium setup: Devario devario (Bengal danio) is relatively sensitive and need good water conditions to thrive. The aquarium should offer a lot of free space to swim on. Plants are not necessary. Feeding: Devario devario (Bengal danio) accepts all kinds of food. 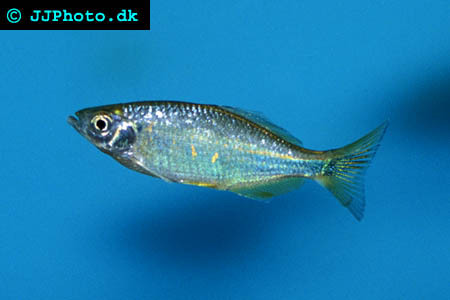 Breeding: Devario devario (Bengal danio) are easy to breed. Theya re egg scattering and the parents should be removed once the spawning is completed. Setup a aquarium with a substrate that protects the eggs like marbles and a few plants.